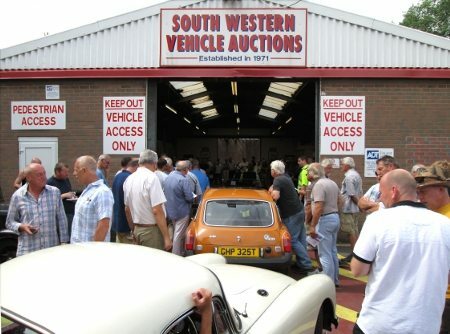 Last Friday’s Classic Car Auction – Another Success! Last Friday’s Classic Car auction was a real sizzler with 85% of lots sold! The sale was our busiest yet with a packed auction hall and hundreds of enthusiasts coming to our auction yard to look at the magnificent lots we had entered. And click here to see the July Classic Car Catalogue if you missed the sale! Keep checking back on our website for a gallery of images from the auction and details of the next. If you want to receive updates by e-mail, then sign up to our classic car auction mailing list here!